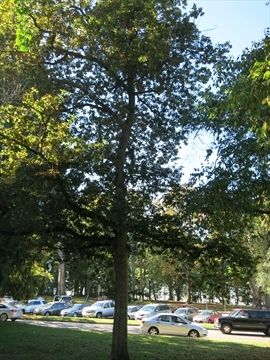 There are many parking lots and street parking throughout Stanley Park. ALL parking in Stanley Parking is pay parking. You can buy parking by the hour, day, season, or year. 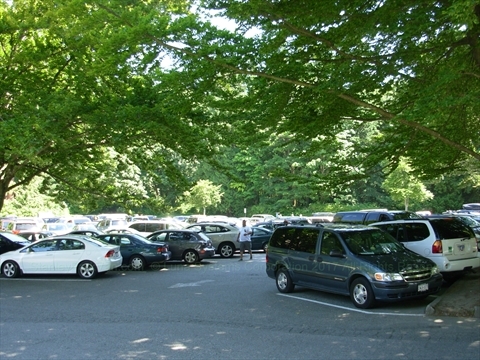 Parking in Stanley Park is managed by EasyPark. 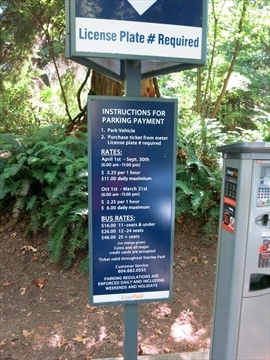 There are many unattended pay stations throughout Stanley Park in which you can purchase tickets. They accept cash, Visa, MasterCard, American Express and EasyPark tokens. NOTE: If you buy a ticket at one location in the park, it is supposedly valid anywhere in the park! There is no overnight parking permitted between 11pm-6am. 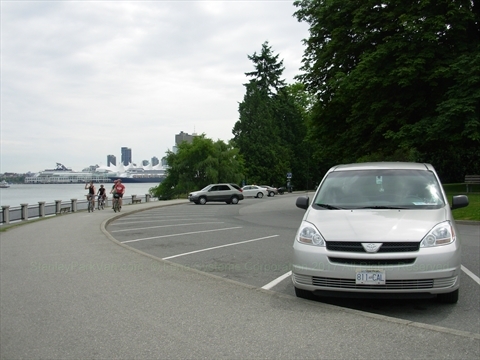 WARNING: Do not leave valuables visible in your vehicle when parked in Stanley Park. Preferably do not leave any valuable in your vehicle. Unfortunately, there are some vehicle break-ins that take place, especially during the summer when it is really busy! 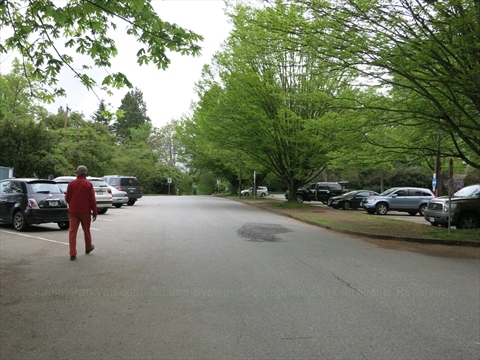 There is street parking on many parts of Stanley Park Drive, North Lagoon Drive, and Pipeline Road. You need to purchase a ticket from one of the many ticket machines located throughout the park. For 2018 the EasyPark website shows the rates as: April 1 to September 30 6am to 11pm parking is $3.50/hour or $13.00/day maximum. October 1 to March 31 6am to 11pm parking is $2.50/hour or $7.00/day. Season Pass is $225.00 (including tax) and is valid from April 1 to September 30. An annual pass will set you back $345.00 (including tax) and is valid for 1 calendar year. Note that all day tickets are not available from some meters, i.e. Totem Poles, Brockton Point, Prospect Point, Teahouse Restaurant, and Fish House Restaurant(CLOSED). There are annual bus passes available for buses also..see the EasyPark website for more information and prices. EasyPark now has an app. Download it at: EasyPark Mobile App. It gives you the ability to find a lot, live chat, reduced service fee, lot details, extend anywhere, EasyPark wallet, special parking rates, and monthly prizes! They have a promotion (not sure how long it will last) where you can get your first parking session FREE up to $8 if you (1)download the app, (2) pay for parking, (3) Session Options, (4) Discount, (5) Enter code: 168168 Note that the app is tied to a phone number so you could keep using this discount if you download the app to another phone in your family! Bus tickets are good for both Stanley Park and Queen Elizabeth Park according to the EasyPark website, but when talking with the representatives of EasyPark they did not think so, so be warned. There are seasonal rates for buses. Please see the EasyPark website for details and prices. 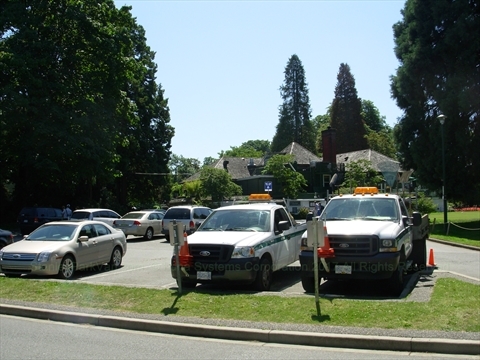 Following is a list and information about all the parking lots in Stanley Park. 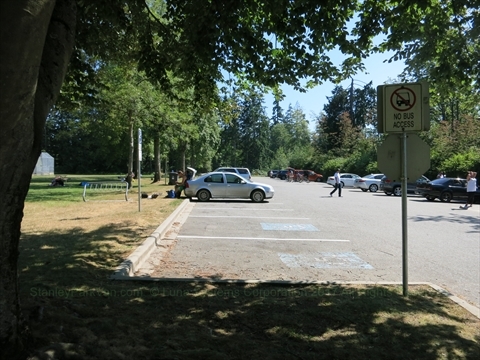 This is a small parking lot consisting of only a few parking spaces around the Stanley Park Pavilion. These spaces usually fill up quickly with people going to the Stanley Park Pavilion, Stanley's Bar and Grill, or Malkin Bowl. Enter this parking lot by entering Stanley Park via the Georgia Street entrance then going straight (i.e. far side) at the roundabout onto Pipeline Road then turning RIGHT immediately after the Rose Garden. This is a large parking lot next to the Stanley Park Junction where the Miniature Train operates out of. 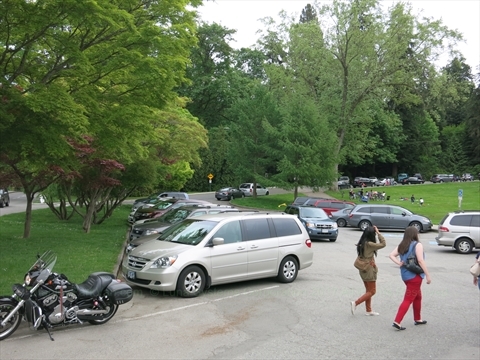 You would use this parking lot if you are visiting the Stanley Park Miniature Train or if you going to the Stanley Park Pavilion or Malkin Bowl for a concert or Theatre Under the Stars. Enter this parking lot by entering Stanley Park via the Georgia Street entrance then going straight (i.e. far side) at the roundabout onto Pipeline Road then turning RIGHT a hundred metres or so past the Rose Garden. This is a very large overflow parking lot across the street from the Stanley Park Junction parking lot. This parking lot is really only used when the Stanley Park Junction parking lot is full when the busy Miniature Train events (Easter Train and Easter Fair, Halloween Ghost Train, and Bright Nights Christmas Train) occur. This parking lot is also used if you are visiting the Vancouver Police Department Mounted squad who have their stables here. Enter this parking lot by entering Stanley Park via the Georgia Street entrance then going straight (i.e. far side) at the roundabout onto Pipeline Road then turning LEFT a hundred metres or so past the Rose Garden. This is a medium to large sized parking lot next to the Vancouver Aquarium. 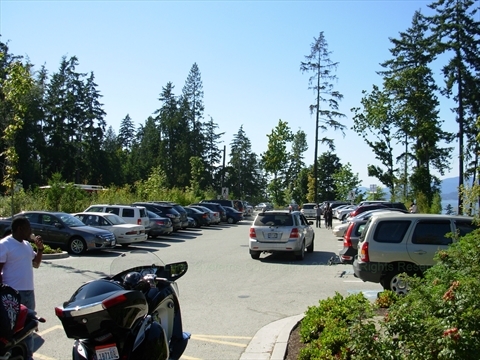 You would use this parking lot if you are visiting the Vancouver Aquarium. Enter this parking lot by entering Stanley Park via the Georgia Street entrance turning right at the roundabout onto Stanley Park Drive then turning left onto Avison Way just after the Stanley Park Information Booth. Go straight and you will end up in the parking lot. This is a medium sized parking lot next to the Stanley Park Information Booth and Horse-drawn Carriage Tour in Stanley Park. Enter this parking lot by turning LEFT off of Stanley Park Drive at the Stanley Park Information Booth. This is a large parking lot next to the Royal Vancouver Yacht Club. You would use this parking lot primarily if you are going to the Royal Vancouver Yacht Club. There are many attractions that are walkable from this parking lot. This is a large parking lot next to the Brockton Oval. You would use this parking lot if you are going to the Brockton Oval, or the Brockton Playing Fields. This parking lot connects to the Vancouver Aquarium parking lot. Enter this parking lot by turning LEFT from Stanley Park Drive after passing the Brockton Playing Fields on the north side of the park after going all the way around Brockton Point. This is a small parking lot located at the Totem Poles. You would use this parking lot primarily if you are visiting the Totem Poles and Portugese Joe Statue. You can also use this parking lot if you are attending an event at the Brockton Playing Fields. 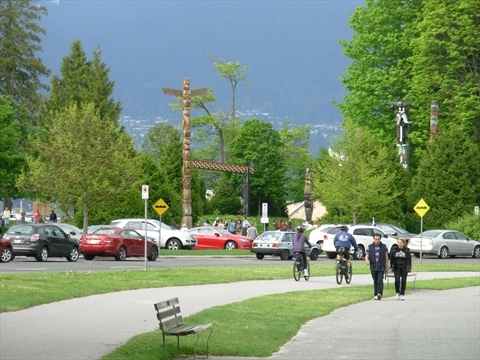 Enter this parking lot by turning LEFT from Stanley Park Drive at the Totem Poles. This is a medium sized parking lot located right at the Brockton Point Lighthouse. You would use this parking lot if you are visiting the Brockton Point Lighthouse. Nearby is the Port of Vancouver Lookout. You are also fairly close to the Totem Poles. Enter this parking lot by turning RIGHT at the Brockton Point Lighthouse from Stanley Park Drive. You would use this parking lot if you are going to the Lumbermens' Arch, Lumbermen's Arch picnic area, or the Variety Kids Water Park. Nearby are the Vancouver Aquarium, Miniature Train, and Japanese Canadian War Memorial. 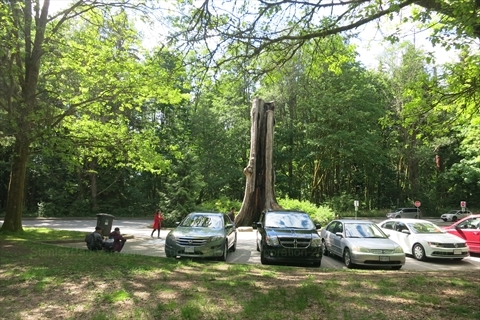 Enter this parking lot by turning LEFT off of Stanley Park Drive at the Lumbermens' Arch. 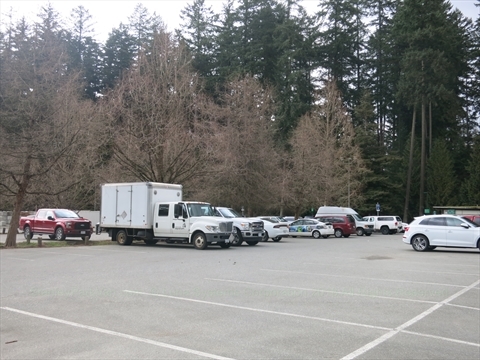 This is a medium sized parking lot at Prospect Point. You would use this parking lot when visiting the Prospect Point Cafe, and Prospect Point Lookout. 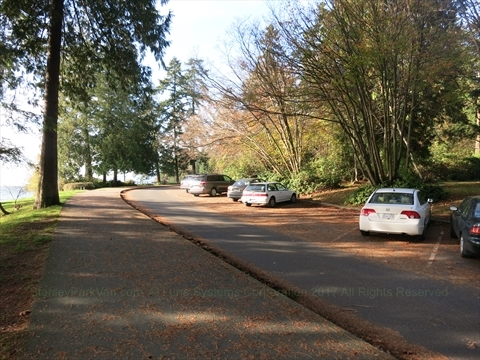 Enter this parking lot by turning RIGHT off of Stanley Park Drive at Prospect Point Lookout. 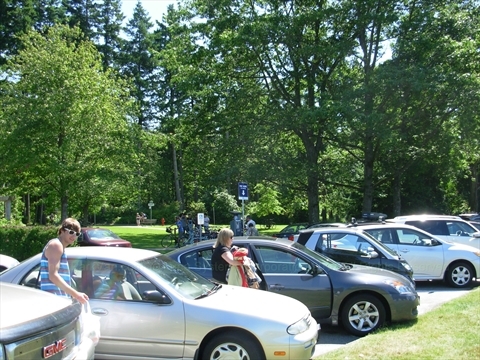 This is a large parking lot at the Prospect Point Picnic Area and Prospect Point. You would use this parking lot primarily if you are picnicing at the Prospect Point picnic area. It is also a short walk to the Prospect Point Lookout. 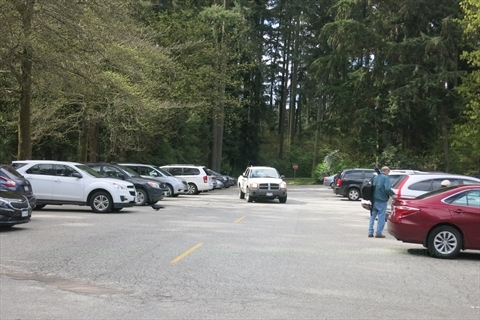 Enter this parking lot by turning LEFT off of Stanley Park Drive about a hundred metres past Prospect Point Lookout. This is a small parking lot at the Hollow Tree. You would use this parking lot if you are visiting the Hollow Tree and/or the Hollow Tree Picnic area. Enter this parking lot by turning LEFT off of Stanley Park Drive at the Hollow Tree. This is just a small pullout on the left. This is a large parking lot just above Third Beach and down the hill from the Teahouse Restaurant. You would use this parking lot primarily if you are going to Third Beach. 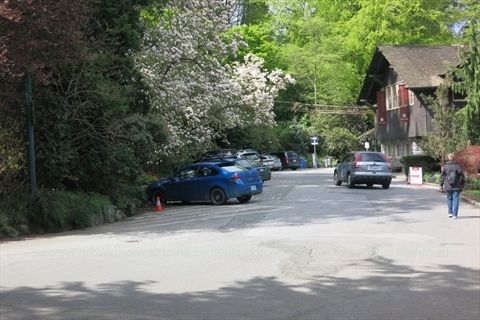 Enter this parking lot by turning RIGHT off of Stanley Park Drive at the Teahouse Restaurant then turning RIGHT again and going down the short hill. This parking lot is above Third Beach. Note that you have to go almost all the way around Stanley Park on Stanley Park Drive to reach this parking lot. This is a small parking lot immediately in front of the Teahouse Restaurant. You would use this parking lot if you were going to the Teahouse Restaurant or Ferguson Point. If this parking lot is full, there is the larger Third Beach parking lot a short walk down the hill to the north. Enter this parking lot by turning RIGHT off of Stanley Park Drive at the Teahouse Restaurant. This parking lot is immediately in front of the Teahouse Restaurant. Note that you have to go almost all the way around Stanley Park on Stanley Park Drive to reach this parking lot. This is a medium-sized parking lot that is to the west of Second Beach. You would use this parking lot if you were heading to Second Beach, Ceperley Park, or the Second Beach Outdoor Swimming Pool. Enter this parking lot by turning right off of Stanley Park Drive about one kilometre AFTER passing the Teahouse Restaurant. Note that you have to go almost all the way around Stanley Park on Stanley Park Drive to reach this parking lot. 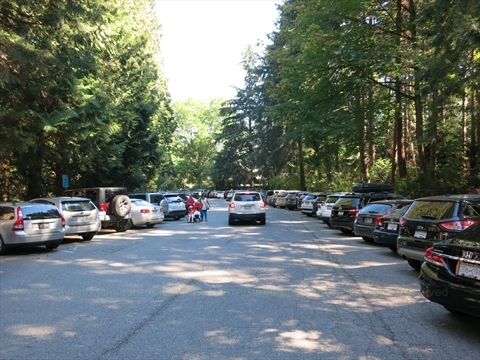 Note: Even though it is close, you cannot get to this parking lot from the Beach Avenue entrance to Stanley Park. You need to go all the way around the park. This is a large parking lot just above Ceperley Park. You would use this parking lot if you were heading to Second Beach, Ceperley Park, the Second Beach Outdoor Swimming Pool, or the Stanley Park Pitch and Putt Golf Course. Enter this parking lot by entering Stanley Park via the Beach Avenue entrance then turning LEFT after the Fish House Restaurant(CLOSED). You can also enter this lot coming along Stanley Park Drive heading east from Ceperley Park. 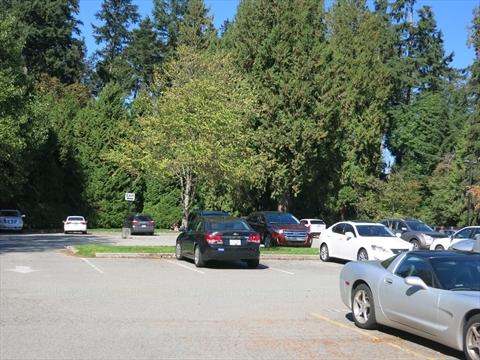 This is a small parking lot immediately across the street from the Stanley Park Pitch and Putt Golf Course and behind the Stanley Park Brewing Restaurant and Brewery (formerly the Fish House Restaurant(PERMANENTLY CLOSED)). Note: The restaurant is closed and undergoing renovations, but part of the parking lot is open. 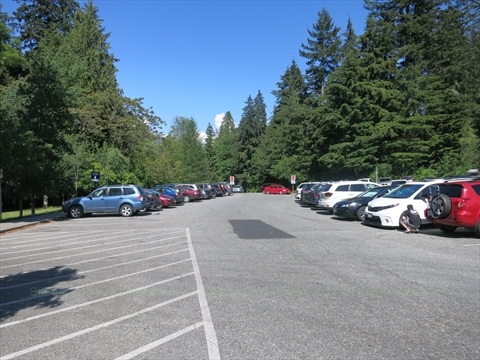 You would use this parking lot primarily if you are going golfing at the Stanley Park Pitch and Putt Golf Course or going to the Stanley Park Brewing Restaurant and Brewery. Enter this parking lot by entering Stanley Park via the Beach Avenue entrance onto Stanley Park Drive then turning RIGHT at the first corner AFTER seing the Stanley Park Brewing Restaurant and Brewery (formerly called the Fish House Restaurant (PERMANENTLY CLOSED)) on the right. Alternatively, if you are heading east from Ceperley Park on Stanley Park Drive, you can turn LEFT at the first corner after passing Ceperley Park. It is also close to the Vancouver Parks Board Office building, Stanley Park Lawn Bowling Club, English Bay Beach, and the Stanley Park Seawall. Enter this parking lot by entering Stanley Park via the Beach Avenue entrance then turn right after the Vancouver Parks Board Office building. Go straight and you will be in the parking lot. This is a small parking lot behind the Vancouver Parks Board Office building. 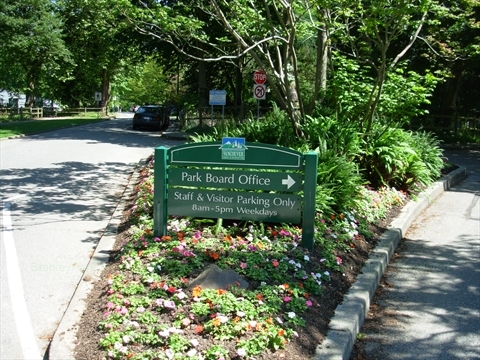 It is restricted to Staff of and Visitors to the Vancouver Parks Board office on Weekdays from 8am to 5pm, but is available for the general public any other time. This parking lot is close to the English Bay Tennis Courts, Stanley Park Lawn Bowling Club, English Bay Beach, and the Stanley Park Seawall. Enter this parking lot by entering Stanley Park via the Beach Avenue entrance then turn right after the Vancouver Parks Board Office building. Turn right just after the building. The West End neighbourhood runs along the east side of Stanley Park. There are a very few 2 hour free parking zones in this neighbourhood but as of June 2017 the city is converting these to paid parking. We recommend that you don't use them because they are only for a short period of time and you WILL get a ticket if you overstay. Also, there is a parking shortage for the resident's visitors already so please don't add to the problem! There is metered parking along Beach Ave and Denman Street. This is fairly expensive and time-limited so you are better off parking in a pay parkade. There are a couple of pay parkades within a few short blocks of Stanley Park and English Bay that not many people are aware of. There is a pay parkade at the West End Community Centre (enter on Haro Street near Denman St.). There are also a pay parkade underneath the Safeway store at the corner of Denman Street and Robson Street (enter from Robson Street) Additionally, there is a pay parkade in the Denman Mall (enter on Nelson St. near Denman St.). The Denman Mall parkade is only open during the day as they are doing construction in the building above. So, we recommend that you use these parkades rather than use street parking in the West End. Who do I contact about parking in Stanley Park, parking tickets, any other parking related matters? All parking in Stanley Park is managed by EasyPark. Visit their contact page HERE for refund requests, receipt requests, meter issues, film crew inquires, pay parking violations, to appeal a parking violation, or to apply for monthly parking. You can also phone them at 604-682-6744 Monday to Friday 8:30am to 4:30pm, or email them at: info@easypark.ca . For 24 hours immediate assistance phone: 604-682-0555. Please do not contact stanleyparkvan.com for parking related matters. We have nothing to do with it and will just refer you to EasyPark!